In my series I take you through the elements of nature and how they connect to areas in business administration. Because I feel deeply called to share my work with healers and other business owners who are also on a spiritual journey, I am offering one more class series at a pay what you can fee schedule, starting in late February 2015. 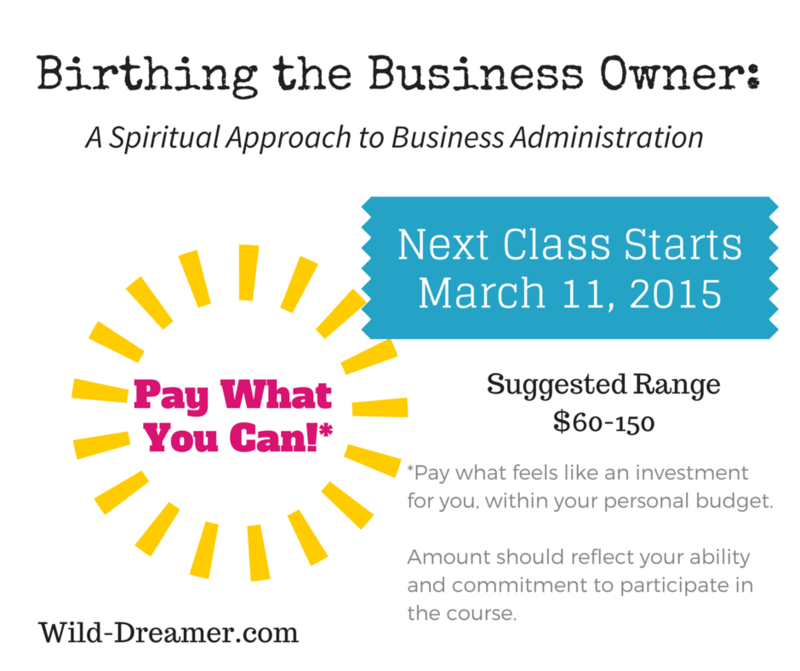 If you want to understand how you can manage your business as a spiritual practice and embrace the birth of your business as a sacred rite of passage, this class is for you. Want to be “better at the business” part of your business? Join me for this unique chance to learn the basics of managing a small home based business! Perhaps you are wondering if you have a business or a hobby, and want to know more about what a new business endeavor might mean. Birthing the Business Owner is ideal for those considering the leap into self employment or have been struggling with really moving to the next phase. 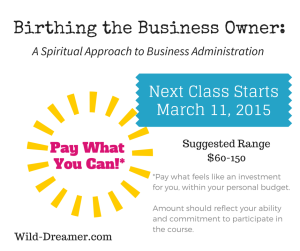 This heart centered business course looks at how to navigate the logistics of administering a business as well as how to move through financial energy blocks!